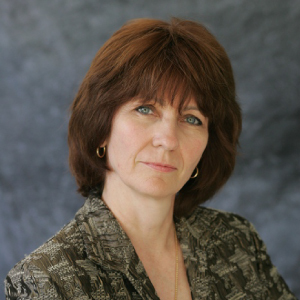 Leslie A. Blozan, Senior Associate, has been practicing law in business and insurance-related areas since 1979. Her focus is on litigation, primarily on behalf of business clients, insurance companies and their insureds. She also devotes a significant portion of her time to insurance coverage for carrier and business clients who need assistance in obtaining insurance benefits. Recently, she expanded her focus into financial elder abuse, working on behalf of the elders and their families. As a litigator, Ms. Blozan participated in numerous jury and bench trials. These trials have encompassed a wide range of disputes, from simple to catastrophic bodily injury; slumlord; landlord-tenant; cargo claims; insurance bad faith and business disputes; and financial elder abuse. She arbitrated and mediated hundreds of cases on behalf of clients, involving cases of only two parties, up to complex litigation involving dozens of party-litigants. Leslie also frequently contributes to Stone | Dean’s At Issue Newsletter and writes articles posted to the Firm’s Cutting Edge Blog. She writes about litigation victories, issues concerning the insurance industry, and elder law & abuse matters. Ms. Blozan, a Los Angeles native, lives in Los Angeles with her husband, and has a college-age son. She is a Tai Chi practitioner and former instructor, history buff, and enjoys the occasional zombie movie.